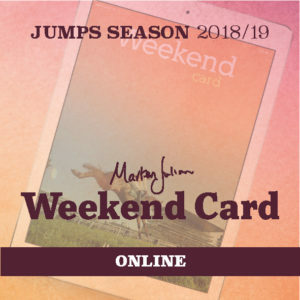 To save clients buying credits, then adding the Weekend Card to your basket each week and checking out. 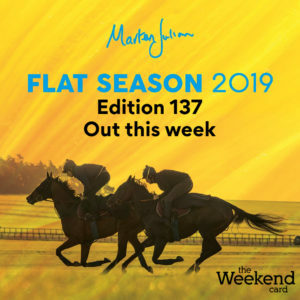 This option entitles you to download the Weekend Card every week throughout the Flat season including our Bumper editions. 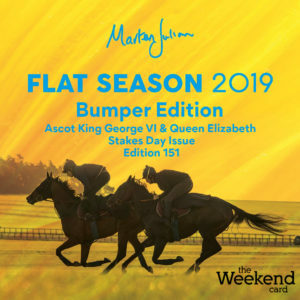 Starts with Edition 136 (11 April) and runs to Edition 166 (7 Nov) and includes two bumper editions. Marten’s full news and views for the Newmarket Cambridgshire meeting. 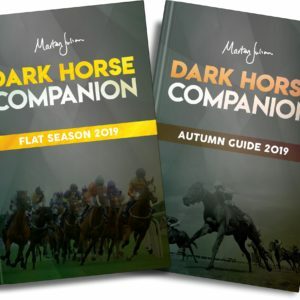 Marten’s full news and views for the Doncaster St Leger meeting. 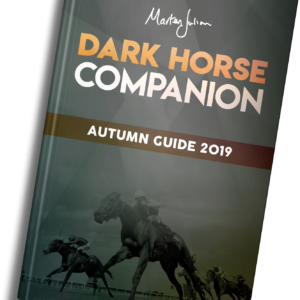 Marten’s full news and views for the York Ebor meeting. Marten’s full news and views for the Royal Ascot five day meeting. 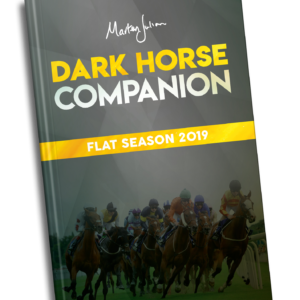 Marten’s full news and views for the Epsom Derby & Oaks meeting. 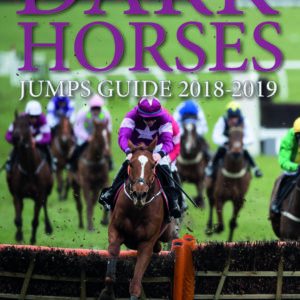 Our weekly racing publication featuring news from Marten & his team. Featuring a Guest Contributor. Fantastic results so far! Great feedback from readers. 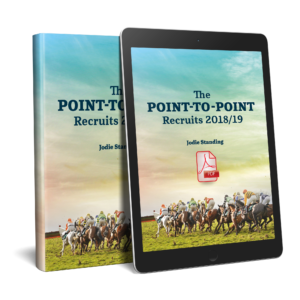 Free PDF version upon ordering. 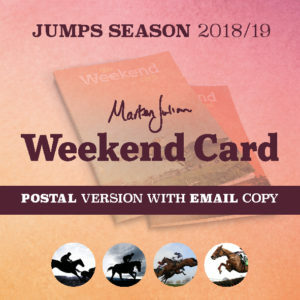 If you like reading the hard copy Weekend Card but want to ensure you get the information as quickly as possible this is the best option for you. 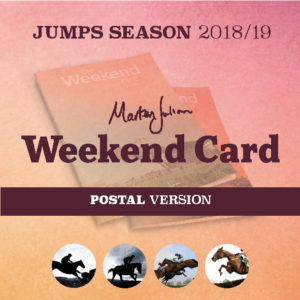 If you would like the Weekend Card posted to you every week First Class this is the best option for you.